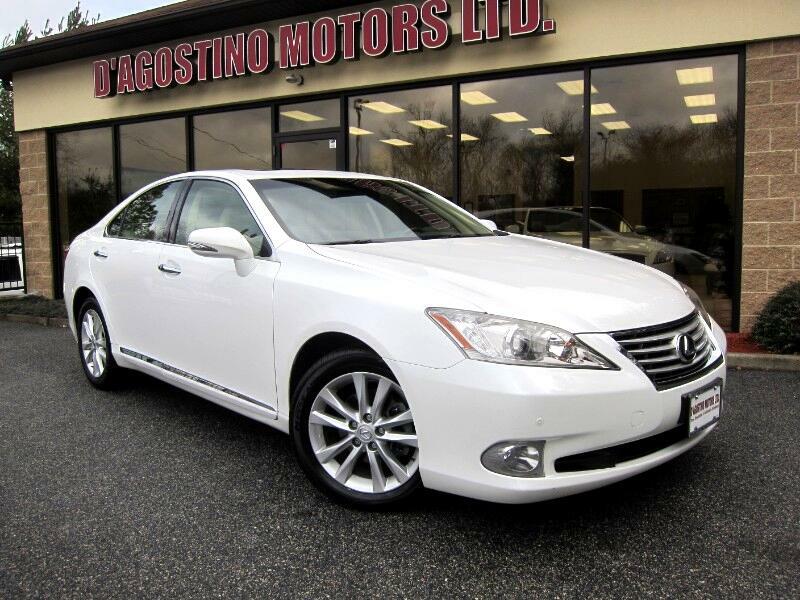 Used 2012 Lexus ES 350 Sedan for Sale in Smithfield RI 02917 D'Agostino Motors Ltd. CONDITION ,CONDITION , CONDITION !!! THIS 2012 LEXUS ES 350 IS ABSOLUTELY IMMACULATE INSIDE AND OUT !!! IT LOOKS LIKE A NEW ONE !!! WITHOUT THE NEW CAR PRICE !!! YOU WILL NOT FIND A NICER ONE !!! 2 OWNER !!! CLEAN CARFAX !!! NON SMOKER !!! THIS LEXUS WAS WELL TAKEN CARE OF AND IT SHOWS !!! THIS ONE IS ALSO NICELY EQUIPPED !!! NAVIGATION , BACK UP CAMERA , POWER HEATED AND VENTILATED SEATS , POWER REAR SHADE , POWER TRUNK RELEASE , PUSH BUTTON START , KEYLESS ENTRY , MULTI FUNCTION STEERING WHEEL , Come Experience the D'Agostino Difference! We Go Through our Vehicles with a Fine Tooth Comb from All Mechanical Aspects to an Extensive Reconditioning and Detailing Process, Expect to View the Cleanest Vehicles in New England Guaranteed !! !